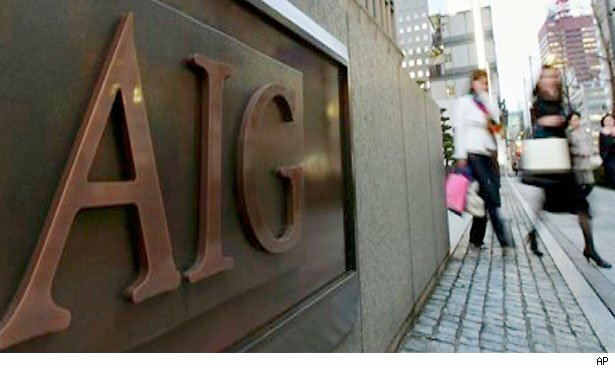 Jan 8 (Reuters) - American International Group Inc (AIG), the insurer rescued by the U.S. government in 2008 with a bailout that ultimately totaled $182 billion, may now join a lawsuit against the government alleging the terms of the deal were unfair. The news prompted a swift reaction from one of AIG's rescuers, with the Federal Reserve Bank of New York saying the insurer could have just as well chosen bankruptcy four years ago and wiped shareholders out entirely. The move would be something of a shock development given that AIG just launched a high-profile television ad campaign called "Thank you, America," in which it offers the public its gratitude for the bailout. At the same time, Chief Executive Bob Benmosche has complained that the company and its management have not gotten enough credit for avoiding a collapse, turning the business around and returning to profitability. AIG confirmed on Tuesday that its board would meet Wednesday to discuss joining a lawsuit filed against the government by the insurer's former chief executive, Maurice "Hank" Greenberg. A federal judge in Manhattan dismissed Greenberg's suit in November; a separate suit under different legal theories in the U.S. Court of Federal Claims is still pending. "There is no merit to these allegations. AIG's board of directors had an alternative choice to borrowing from the Federal Reserve and that choice was bankruptcy. Bankruptcy would have left all AIG shareholders with worthless stock," a representative of the New York Fed said Tuesday. A source familiar with the situation said lawyers for the New York Fed expect to attend the Wednesday board meeting to argue their side of the matter. An AIG spokesman declined to comment beyond confirming that the board would meet. T he deliberations were first reported by the New York Times. The U.S. Treasury completed its final sale of AIG stock in mid-December, concluding the bailout with what Treasury called a positive return of $22.7 billion. AIG shares fell 0.5 percent to $35.74 in early trade. After losing half its value in 2011, the stock rose more than 52 percent in 2012, tripling the gains of the broader S&P insurance index.